Our Products >> 2 Bags!, ANY flavor! 2 Bags any flavor, for just 19.95, SHIPPING INCLUDED! 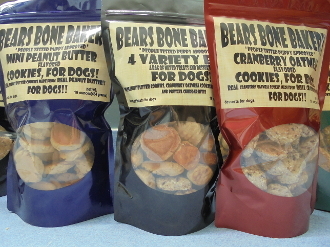 Pic any 2 bags of Bears desserts or treats for just 19.95! Remember to tell us which you'd like by writing your choices in the comment section of your order. Thanks soo much and we hope your pups enjoy!